ZOMEI 55″ Lightweight Aluminum Tripod Blue 3-Way Pan Head For Canon Nikon Sony Olympus Camera DV, etc. Posts related to ZOMEI 55" Lightweight Aluminum Tripod Blue 3-Way Pan Head For Canon Nikon Sony Olympus Camera DV, etc. 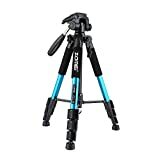 MyArmor Alumium Alloy Telescop Selfie Stick (30 - 93cm) Folding Self-portrait Extendable Monopod with Phone Mount Clip + Metal Tripod Stand + Bluetooth Shutter Release Universal Compatible with Gopro Hero 5, 4, 3, 3+, 2,1/ Sony Nikon Canon SLR DSLR, RICOH THETA 360° / Action Cam SJCAM SJ3000 SJ4000 SJ5000 SJ6000 ect. This entry was posted in Astronomy Products and tagged 3Way, Aluminum, Blue, camera, Canon, etc., Head, Lightweight, Nikon, Olympus, Sony, Tripod, Zomei by Celestial World. Bookmark the permalink.